We offer a wide range of free online services to offer you access to your L&N accounts 24/7! L&N Mobile Banking technology is secure and easy to use - and it is offered as another FREE service. A shortcut is available for your Blackberry device. An iPhone App is also available for mobile banking on iPhones. Click here to download it for free from the App Store! An Android App is now available for mobile banking on Android Devices. Click here to download it for free from the Google Play Store. SMS Banking allows users to pull balance and transactional data via a short text command. For example; text the letters BAL to 454545 and receive the current and available balances for your primary account securely over a cell phone. 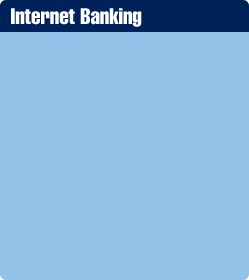 - Go to www.LNFCU.com and log in to Internet Banking. - You will be sent an activation code to your cell phone. - Enter your activation code in the space provided and click next. - From the drop-down menus, select your Primary Account and Transfer Source. - Customize your SMS Alerts* and click finish! This service is free of charge, but standard carrier fees for text messaging may apply. Please check with your wireless carrier if you aren’t sure what fees apply when you send and receive text messages. * Notifications may be delayed up to 24 hours.